TAIZHOU EAST MOULD CO., LTD is specialized in designing and manufacturing all kinds of large and middle size plastic moulds, we have a complete designing, manufacturing and management team, we mainly make injection mould and blowing mould, such as auto bumper, auto inner part mould, air-conditioner mould, refrigerator parts, washing machine mould, PVC Fittings, Daily use articles, packing etc.. Our output moulds are exported to more than 60 countries or districts in Europe, South America, North America, Africa, Mid-East area, South-east Asia and so on. 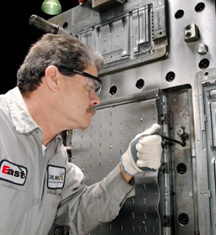 East-Mould is equipped with modern equipment, such as CNC machine, EDM machine, high speed wire cut machine etc…, By using Pro-E, Solidworks, U.G., Cimitra and Auto-CAD for mould and plastic parts design, East-mould has strong mould design capability and drawing reading ability. On the base of above, we design and make accurate mould. East-Mould have strict quality management system and efficient production team, we always follow this eternal quality policy: "Customer’s satisfaction is our permanent pursuit", Quality is always our first promise. Basing on China market, we have become a global professional mould maker and are ready to meet any challenge from the market to make our company the most competitive mould manufacturer in the world. 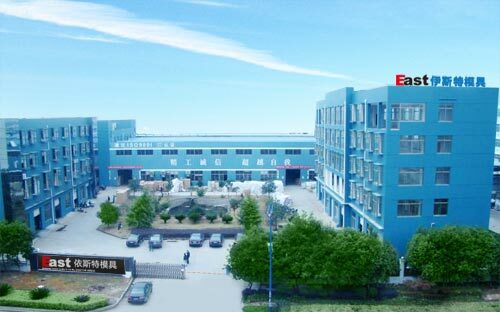 East-Mould sincerely invites you to visit our factory and establish long-term business relationship with us.